We kick off a new series on extraordinary and undiscovered sights in the most unusual places, beginning in Qatar. When driving through the heat-scorched desert in the Gulf state of Qatar, you do not expect to come across a fairy-tale fortress containing a collection of gleaming vintage vehicles including a Dodge C100, a Chevrolet Impala and a Rolls-Royce Silver Wraith II. Nor would you expect to find, slightly randomly, in the same place, a collection of old ballpoint pens and school exercise books, a dagger sheath made from a desiccated crocodile, and a gold-plated AK-47 that once belonged to Saddam Hussein. 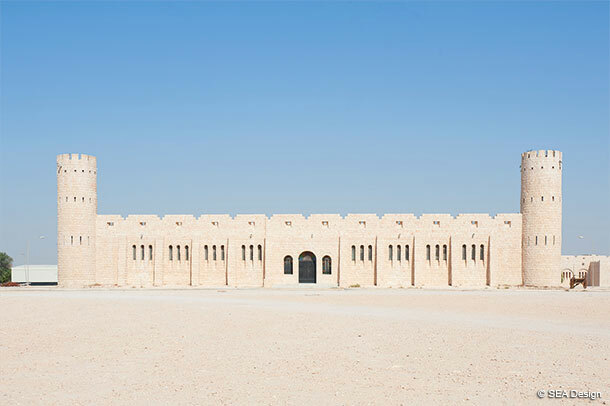 This modern-day mirage is the handiwork of one Sheikh Faisal, an extremely influential man in the oil-rich state who, as Michelle Jana Chan explains below, had the vision (and the means) to create a unique cultural project in the middle of the desert, and to turn it into something which, by any reckoning, is well worth exploration. The Sheikh Faisal Bin Qassim Al Thani Museum in Qatar is not the only example of something of outstanding cultural merit or beauty to be found in an unusual location. As Danielle Demetriou, Telegraph Travel’s resident Tokyo expert, explains, the 3,000-odd islands of the Seto Inland Sea area some 400 miles south of the capital are also something slightly out of this world. Originally home to sleepy fishing communities, the islands – and in particular Naoshima – have been transformed into settings for some of Japan’s most cutting-edge art, including a giant spotted pumpkin, bubble-like structures that hang in a bamboo forest and a zany white installation that resembles a cross between a spaceship and a drop of water. What both of these examples have in common is the element of surprise. 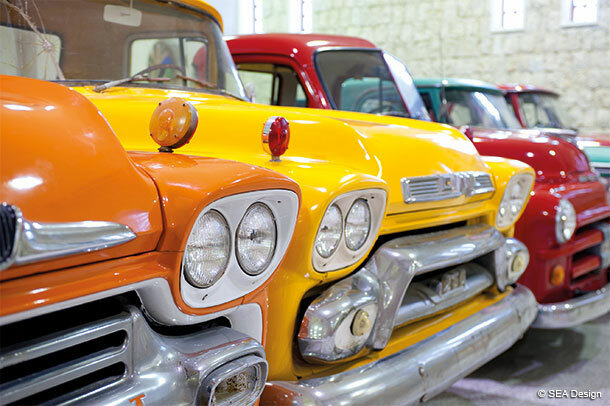 The exhibits themselves are bold – but what really gives them the wow factor is the originality of the locations. Outstanding museums and innovative art installations are what we usually seek out in major world cities – but in the middle of the desert? In a sleepy island backwater? For travellers, these are indeed Tales of the Unexpected, and over the coming weeks we will be turning the spotlight on further examples of this much-cherished genre – including the extraordinary Prada store found in the village of Marfa in the middle of a Texan desert, the almost completely unexplored ruins in the old Roman settlement of Timgad in Algeria and the artistic haven that is Fogo Island off the coast of Newfoundland. Surrounded by shiny skyscrapers, five-star hotels and artificial islands, it feels like there is little here in Qatar of any great age; after all, this is a country which has seen most of its development happen in the last 20 years. Yet one man here is trying to document and preserve an idea of history. Sheikh Faisal, a close relative of the ruling emir, is a successful businessman here although “his hobby”, as he calls it – or his obsession, as others might – is less well known. Half way across the peninsula that is Qatar, resembling a thumbs-up in the Persian Gulf, is the Sheikh Faisal Bin Qassim Al Thani Museum. When its namesake built this modern-day fort 15 years ago, it was the only interruption in an otherwise blank canvas of a landscape. Today it stands next to a recently completed superhighway on the outskirts of the hazy sprawling capital, Doha. Turning off the main road, I approach the museum down a long avenue of dusty trees. At the end of the road is an imposing crenellated fortress. It feels even bigger on the inside – with a floor space of five football pitches – and that is just as well because there are 15,000 objects on display from a half-century of amassing, labelling and hoarding. 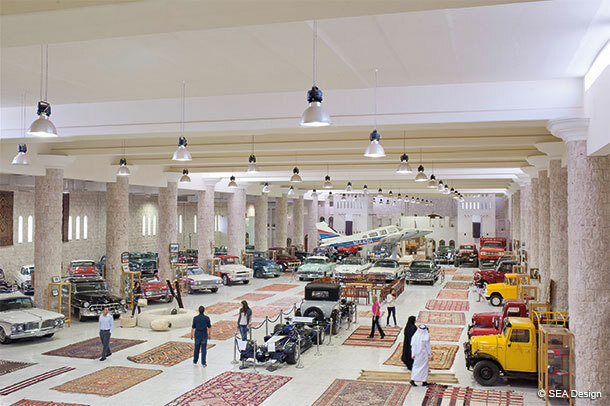 Sheikh Faisal describes how he travels all over the world to add to his collection: visiting the auction houses of London and Paris; dealer’s offices in Istanbul and Miami, the markets of Sana’a and Tunis. Certainly there are treasures among the cluttered galleries, from Lydian coins to Umayyad pottery to an entire Syrian house brought brick-by-brick from Damascus’ old town and reconstructed here. The section on Qatari heritage – which may be the greatest draw for tourists – has a whole flotilla of traditional fishing boats displayed in giant indoor pits; there is a traditional Bedouin tent, and antique weighing scales used in the local pearling industry. There are also oddities such as the Sudanese dagger sheath made from a desiccated crocodile; a gold AK-47, a gift from Saddam Hussein; and the suit he wore for his ill-fated trial. But the museum also houses the ordinary: there are cabinets of the sheikh’s exercise books from his school days, as well as boarding cards from trips in his youth; in the gallery displaying currencies from around the world, there is a selection of modern British banknotes, which I could have pulled out of my wallet. This is clearly a man passionate about assembling together his favourite things, but he is equally passionate about sharing his view of the world. It is free of charge to visit the museum and for a guided tour with one of the resident experts in antiquity. Furthermore, the sheikh is opening a satellite museum downtown, which will focus on his fine collection of carpets from Algeria to Samarkand. A museum in the heart of Doha should open up the sheikh’s collection to a new audience. In all my trips to Qatar, I have come across only one person who had visited the museum. Few had heard of it. But it is worth seeking out Sheikh Faisal’s fortress in this futuristic city – if only to ponder and be puzzled by one man’s view of the past. Sheikh Faisal Bin Qassim Al Thani Museum (fbqmuseum.org): Email visitors@fbqmuseum.org to schedule a visit. Open daily except Friday 9am-6pm (last entry 4.30pm). Call ahead to confirm opening times during Ramadan and on public holidays. The museum is opening a new restaurant in January; until then, bring water and snacks. The Carpet Museum is scheduled to open in February above the City Centre Mall.